The advanced flight simulator X-Plane 11 [Official Website] will release this "holiday season" and it will feature Linux support. You can see their announcement here. - A completely redesigned, intuitive user interface that makes setting up and editing your flight a breeze. - Consistently usable 3-D cockpits and stunningly high-resolution exterior models for all included aircraft. - A new effects engine for lighting, sounds, and explosions. - Realistic avionics: all planes are IFR-ready right out of the gate. - Busy, “living” airports with pushback tugs and roaming fuel trucks, able to service both your aircraft and the simulator’s AI planes. This version will still use OpenGL, but they are looking into Vulkan for future versions. It will cost $59.99, as the current purchasing option direct from the developer will give you both X-Plane 10 and 11 in a bundle. Going by how much the current game is on Steam, by itself X-Plane 11 should be half that. Thanks for sending it in SuperTux. It doesn't technically say that X-Plane 11 will support Linux. It has no reason not to though, but the whole question of support has been surprisingly absent. Ehvis It doesn't technically say that X-Plane 11 will support Linux. It has no reason not to though, but the whole question of support has been surprisingly absent. They have supported Linux for around 8 years (at least, that's as far back as I can find information on). No reason they will stop now. I agree. Although they have said that the actual Linux usage numbers are such that it does not make support a given, they have no reason not to since it's easy to support. I suppose they also may have a few professional customers using it on Linux. The new fog/haze rendering looks great. That is something that has been really bad. Blair Carruthers Hi there! Is there a linux implementation? 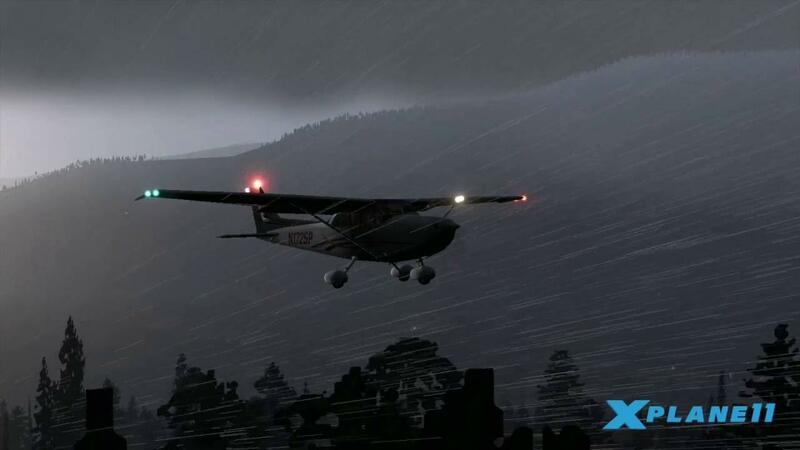 X-Plane by Laminar Research Yep! Unlike · Reply · 3 · Yesterday at 5:59am"
I don't think they've finalized the system requirements yet, which is probably why none of the hardware/OS systems have been listed yet (or at least none I could find). Thanks, added it in for clarity. Ah, so all those comments actually contained something useful! Nice. I won't be switching over instantly though. I'll have to see how well the support for current payware aircraft is going to turn out in XP11. That looks stunning. I wonder what the system requirements are compared to the previous version? Well this offer doesnt apply for existing owners and definitely not for steam users even if you buy it now on steam. On the other hand I find their prices extremely high but I guess this game is build having in mind that ONLY pilots will buy their game since they earn a lot of $$$. Paying $1,000 for a simulator including all their DLC's I find it a bit too much! wolfyrion Well this offer doesnt apply for existing owners and definitely not for steam users even if you buy it now on steam. XP 10 has been out for years, so I wouldn't expect any discount now. I really don't get what you're saying about price, XP 10 was $80 when it fist released, so its actually dropped down to $60. I don't know if this will be a digital only price, or if they will be charging more for a DVD set though. Laminar research haven't released any "DLC's" or other add-ons, beyond a USB stick for their products to unlock them out of demo without using a DVD, or a USB to unlock the professional version. The rest of the DLC's you see are from 3rd parties, and not all are payware as you can get plenty from here. Frankly their current UI is a pain, but in term of gaming it is from time to time very enjoyable to have such a quite game. (Just like Euro truck simulator 2 or american truck simulator).